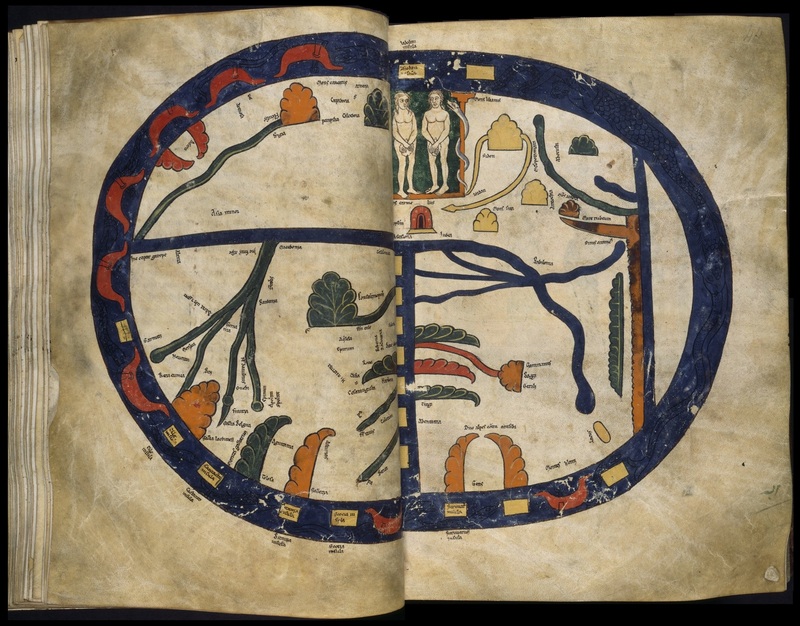 The Biblical account of the garden of Eden has for long preoccupied the minds and imaginations of theologians, believers and countless adventurers of the past. Many have attempted to identify the location of the garden and put forward theories ranging from the underground, the north pole and even the surface of the moon. However if the location of the terrestrial paradise is to be understood according to scriptures, there is only one place that fits the description. That place is historic Armenia. 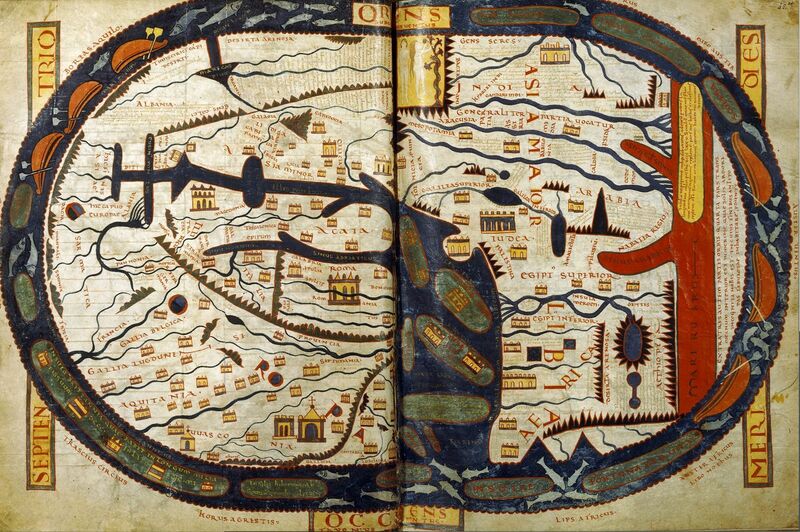 The Bible mentions a spring in the Garden which parts into four major rivers, including Tigris and the Euphrates. Tigris and Euphrates both have their headwaters in the area surrounding Mt. Ararat in historic Armenia. 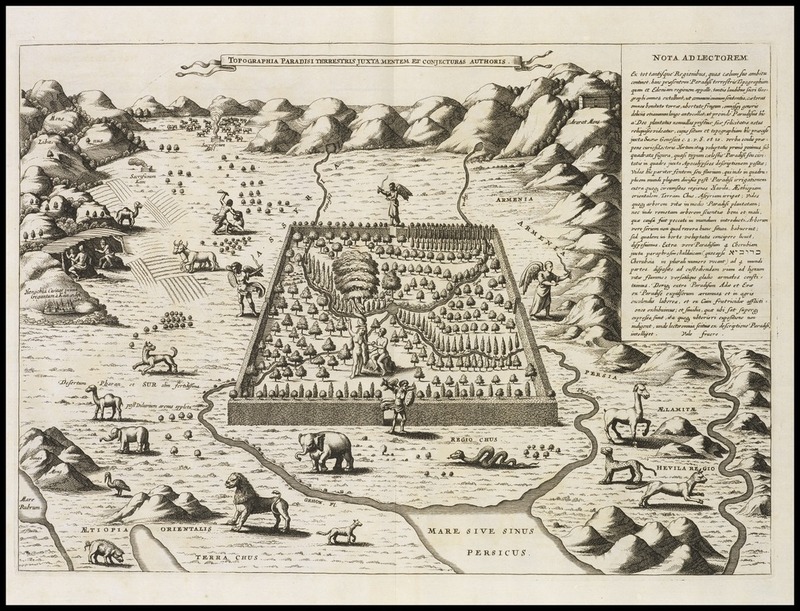 Many Biblical scholars have therefore placed the garden of Eden in Armenia. 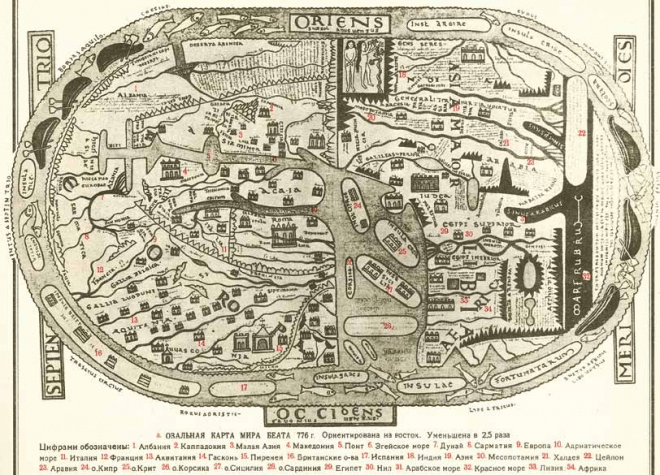 They have argued that posterity of Seth and Noah’s ark have remained close to Eden. Thus the birthplace of mankind is also the place of rebirth. 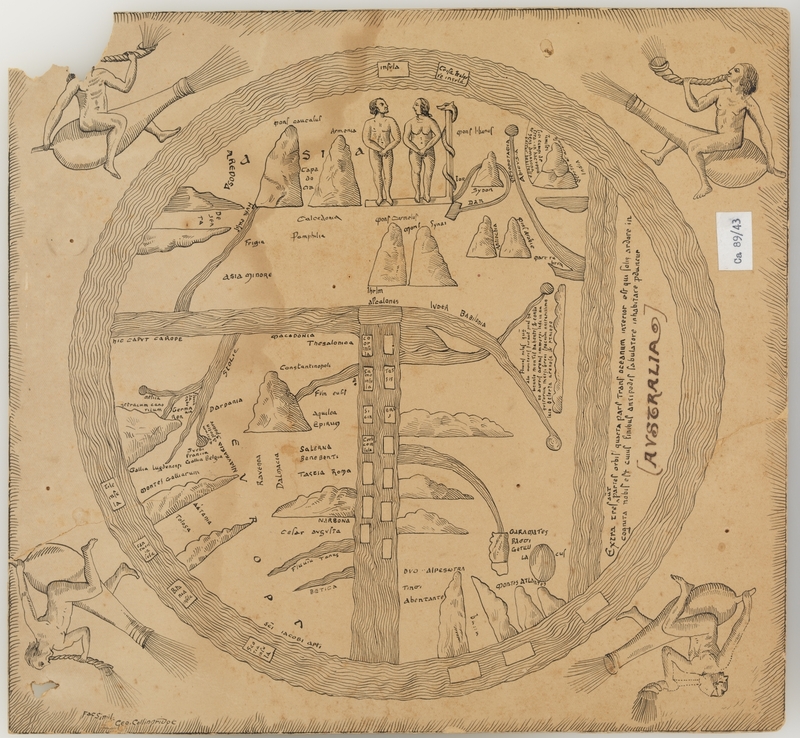 These accounts are supported by ancient believes of the people of Mesopotamia, who often considered the Armenian Highlands to be the dwellings of the Gods (Cyclopædia of Biblical, Theological, and Ecclesiastical Literature, 1894). 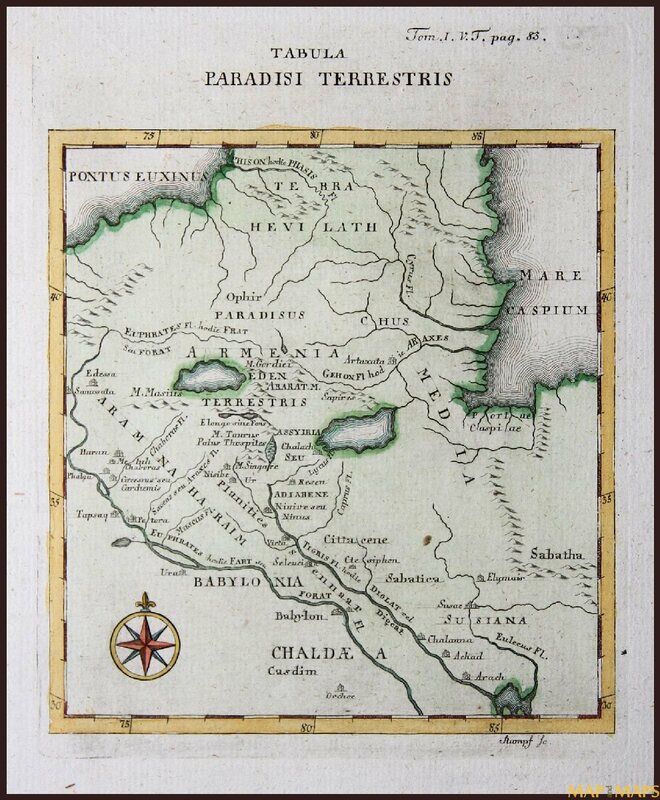 That Armenia was once considered the location of terrestrial Paradise can be attested from old maps and theological records. See blow for the maps. 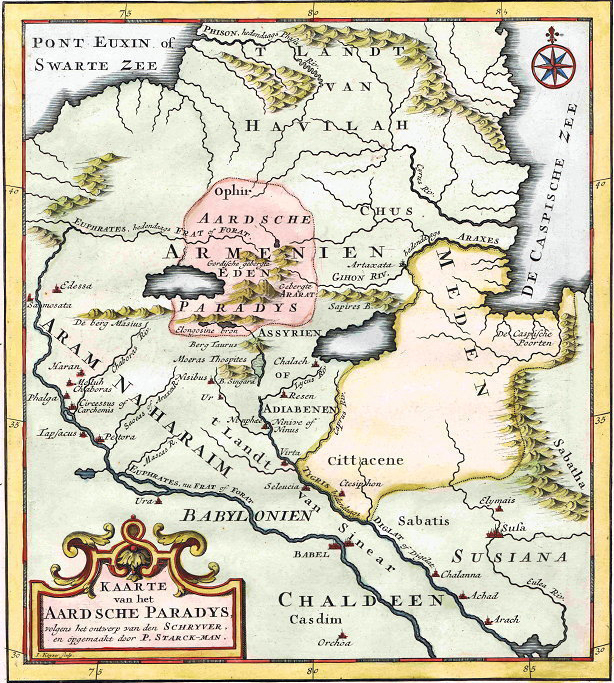 “Both Pererius and Lapide had suggested Armenia as logical location for Eden and paradise. 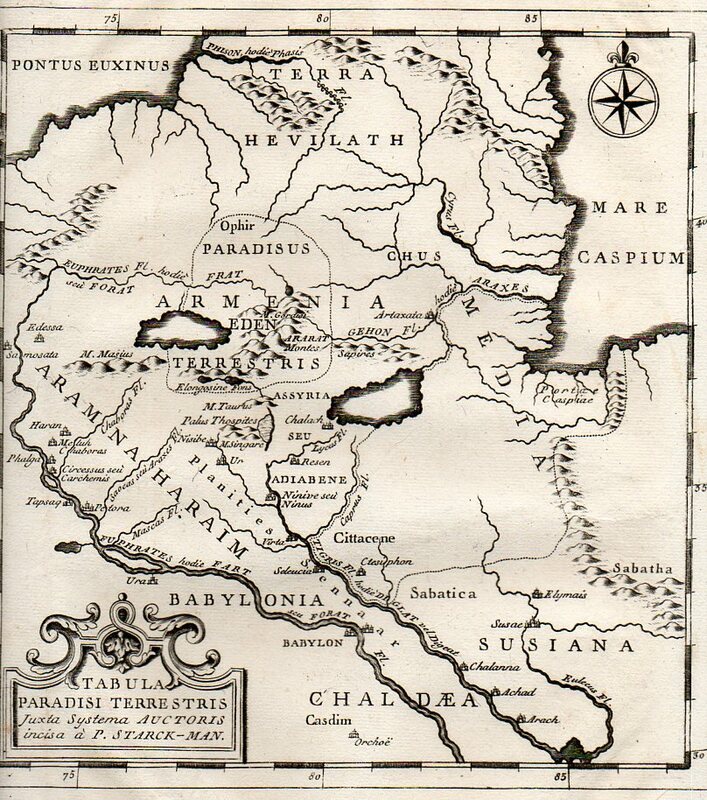 Johann Vorstius, maintaining that Scripture clearly stated that the great river arose in Eden itself, also contended that Eden and paradise must be in Armenia. 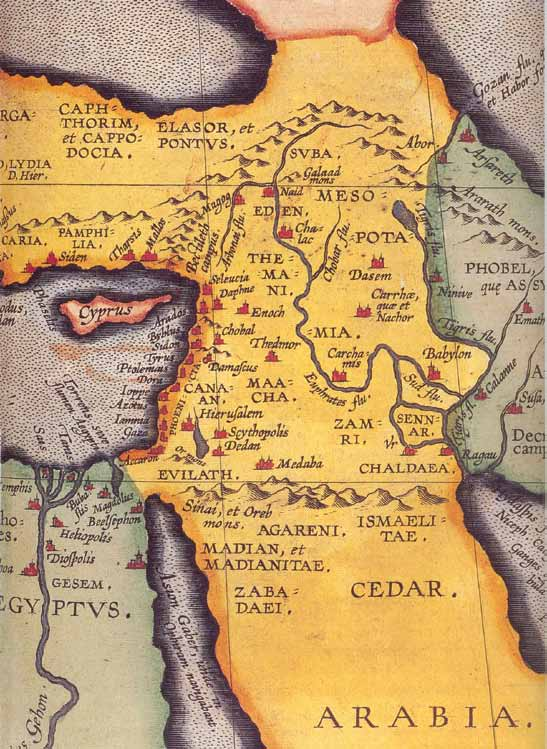 In their Encyclopedia of Biblical, Theological, and Ecclesiastical literature (1894), John McClintock and James Strong recount nine principal theories of the proposed location of earthly paradise. 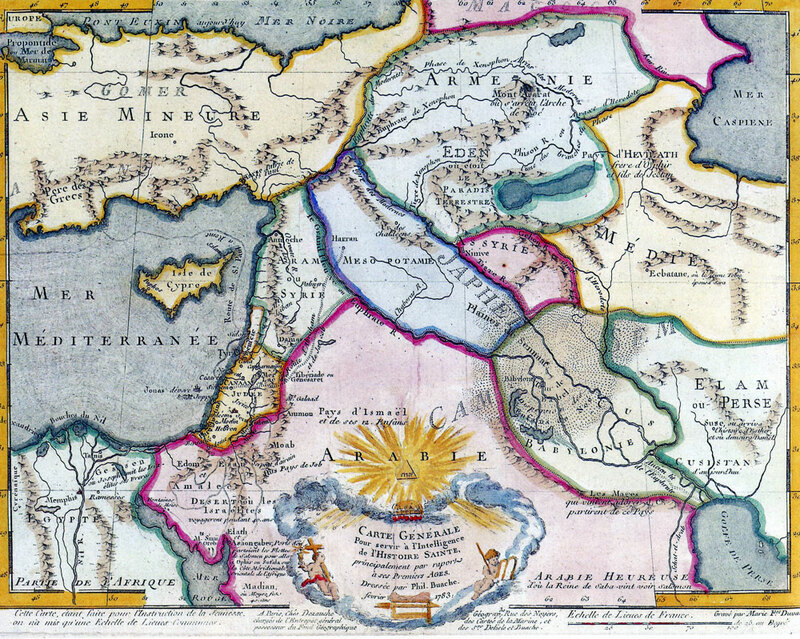 Armenia is considered the most likely location of Eden. John McClintock & James Strong (1894) Cyclopædia of Biblical, Theological, and Ecclesiastical Literature. 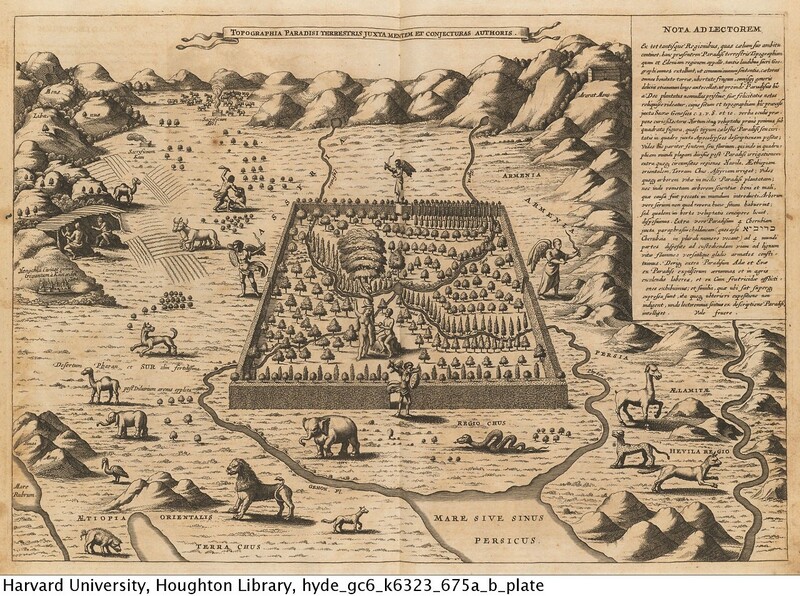 “As nearly as we can gather from the Scriptural description, Eden was a tract of country, the finest imaginable, laying probably between the 35th and the 40th degree of N. latitude, of such moderate elevation, and 80 adjusted, with respect to mountain ranges, and watersheds, and forests, as to preserve the most agreeable and salubrious conditions of temperature and all atmospheric changes. Its surface must therefore have been constantly diversified by hill and plain. In the finest part of this land of Eden, the Creator had formed an enclosure, probably by rocks, and forests, and rivers, and had filled it with every product of nature conducive to use and happiness. Due moisture, of both the ground and the air, was preserved by the streamlets from the nearest hills, and the rivulets from the more distant; and such streamlets and rivulets, collected according to the levels of the surrounding country (“it proceeded from Eden”) flowed off afterwards in four larger streams, each of which thus became the source of a great river. 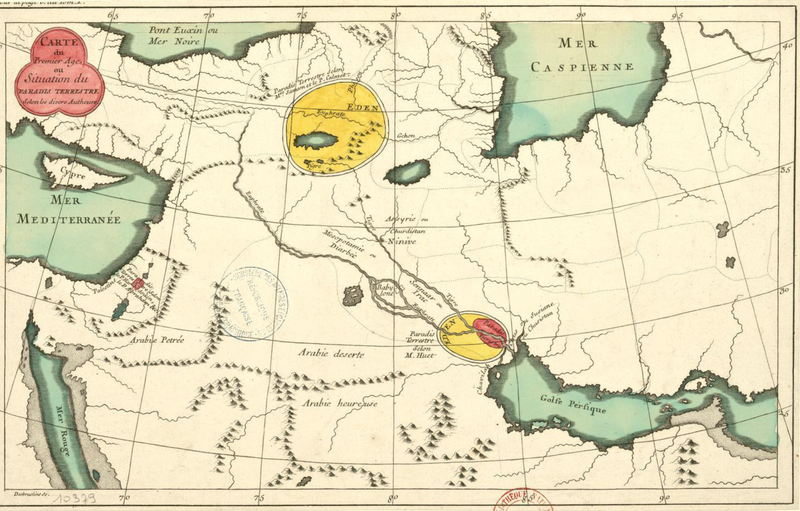 “Nor will it do to suppose that in former ages great changes had taken place, which have so disguised the rivers in question that their course, connection, and identity are not now traceable ; for two of the rivers, at least, remain to this day essentially the same as in all historic times, and the whole narrative of Moses is evidently adapted to the geography as it existed in his own day, being constantly couched in the present tense, and in terms of well-known reference as landmarks. Maria a. 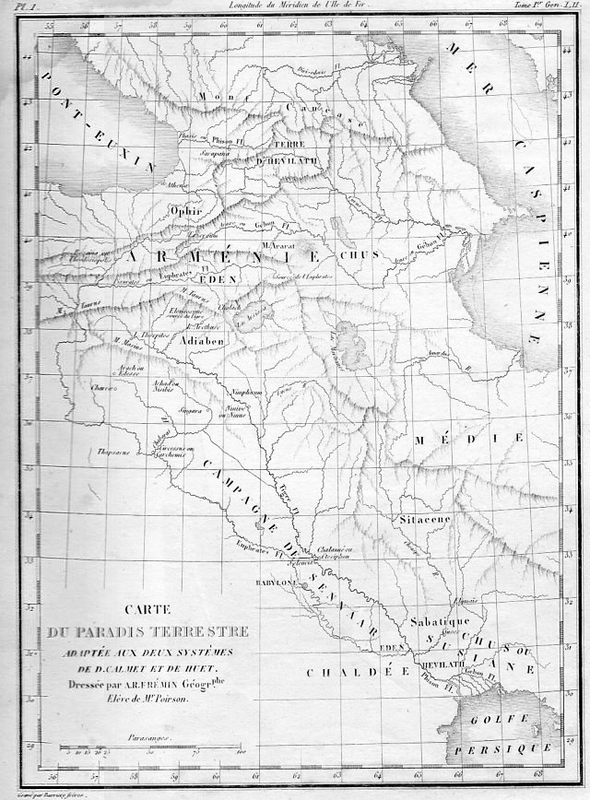 West (1875), Romance of Missions: or, Inside Views of Life and Labor, Land of Ararat. “A lovely lake, like that of Galilee, sleeps within their embrace; a branch of the Euphrates curves its gleaming arm around this wondrous mosaic of emerald and agate, carnelian and onyx, with the golden sunlight resting upon embowered villages, of which we count twenty-five without, and fifty with the aid of a glass, their beaten paths crossing and recrossing the plain, in every direction. Our national birthday of freedom finds us on these distant heights in the land which was the cradle of the human race the land of Ararat, the country, if not the Garden of Eden, where we may suppose our first parents wandered after their expulsion from Paradise, and obtained their bread by the sweat of their brow. And we, their self-exiled children, are striving to undo the mischief which their disobedience brought on these fair plains, and among these smiling valleys and rugged mountains. 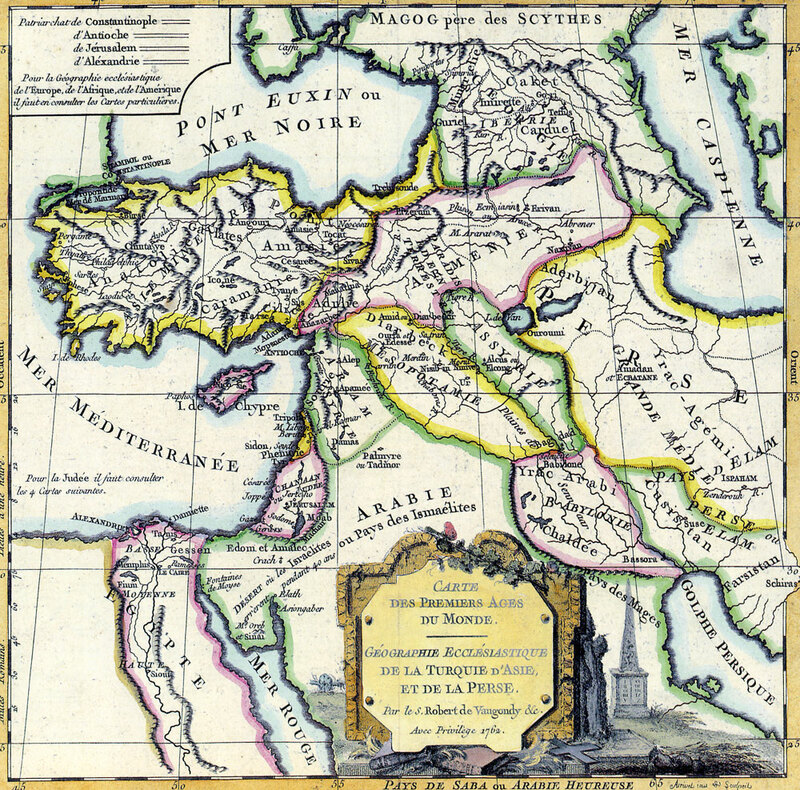 The Armenian language belongs to the Indo-Germanic family, enriched with many Sanscrit words, but having no affinity to the Semitic, or any of the more modern tongues. The people claim that it was the language of paradise, and will be the language of the heavenly world. 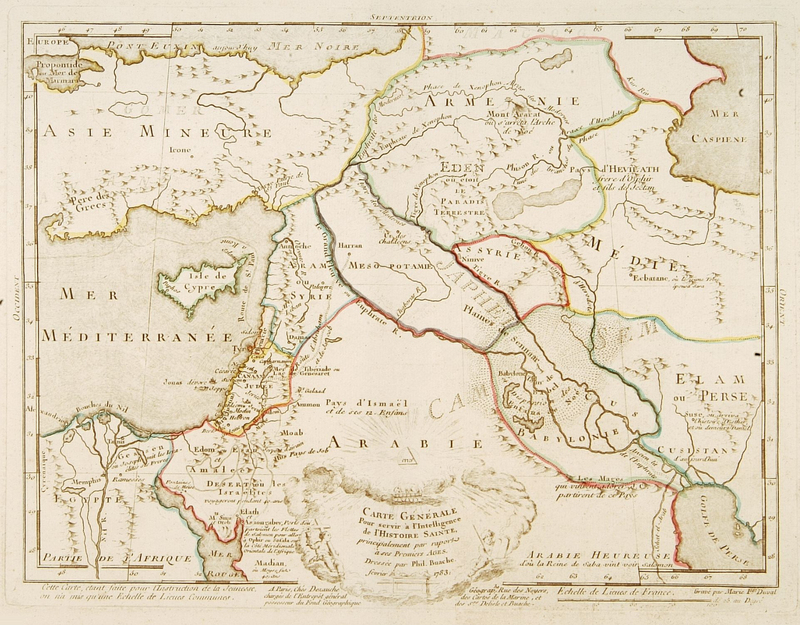 Fine map of the Middle East, including the Holy Land, Cyprus, Iran and Irak, etc. 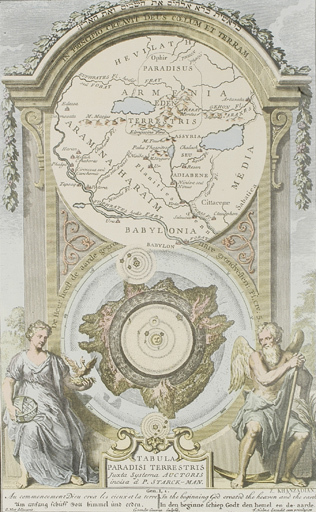 Philippe Buache was one of the most active proponents of the so-called “school of theoretical cartography” active in mid-18th century France. Published by Dezauche and engraved by Marie F. Duval. 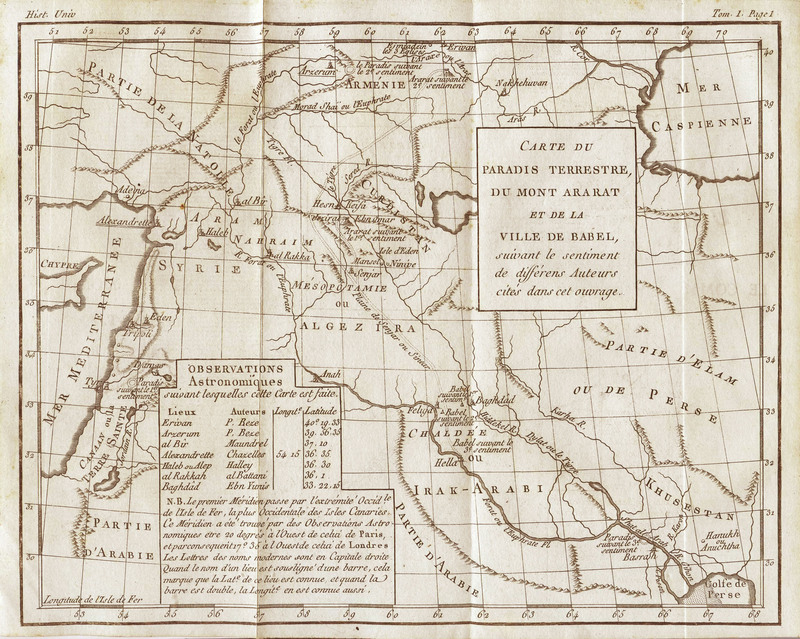 A General Map for Information about the History of the Saints, Phillippe Buache, Published in 1783 in Paris. Увеличенный фрагмент той же карты, с подписью «Armenia regio». 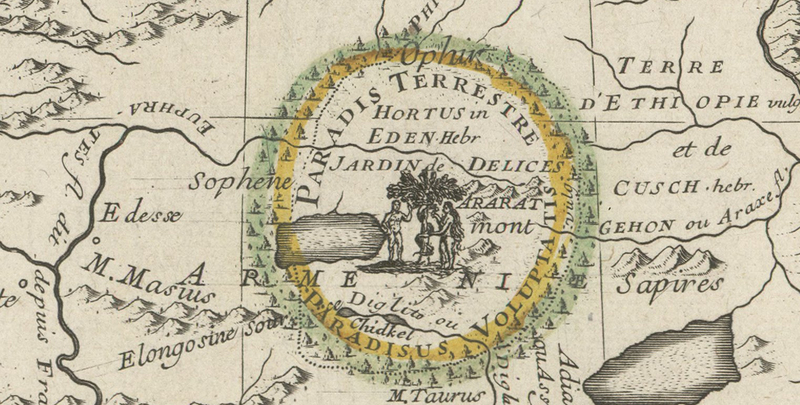 The map Tabula Paradisi Terrestris justa Systema Auctoris incisa a P. Stark-Man was printed late in the 18th century, probably around 1775. 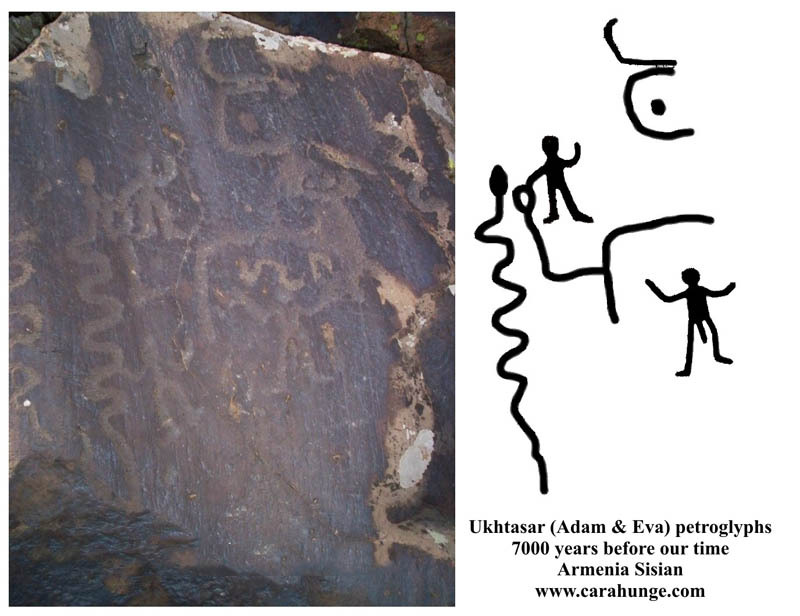 Ancient Armenian drawing of what resembles the story of Adam and Eve. Good article and presentation. However, a number of maps have been repeated and it is best to remove them. 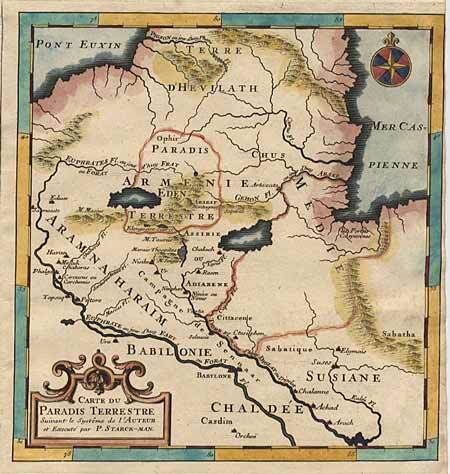 Dear PeopleOfAr, I can exactly show the replacement of the garden of paradise on the map of Armenia. 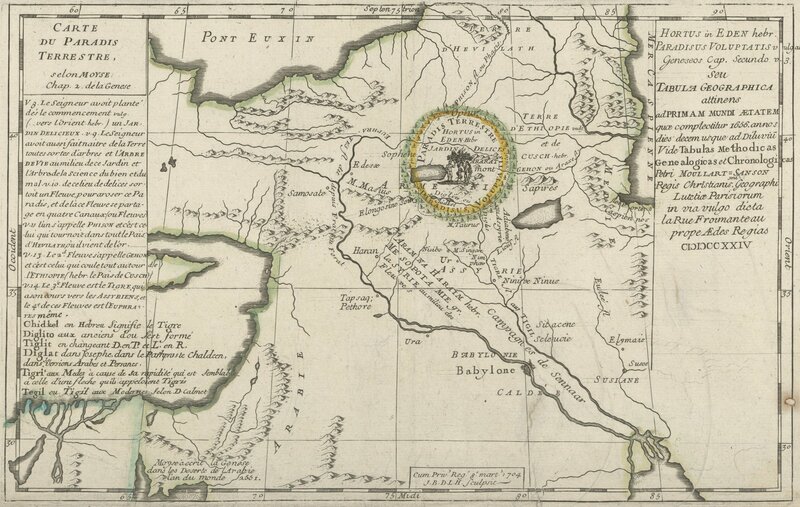 It is the Basen rigion, on the river Arax-Yeraskh, which at that part was named Pison in the old ages, and this name was derived from Basen, which means ”basin,, as the basin of the main three rivers, and the base where the first man was placed after being crreated on the Sermants (the seeds) or Buragn mountains…. Thank you for the reference to my work on Fausto da Longiano. 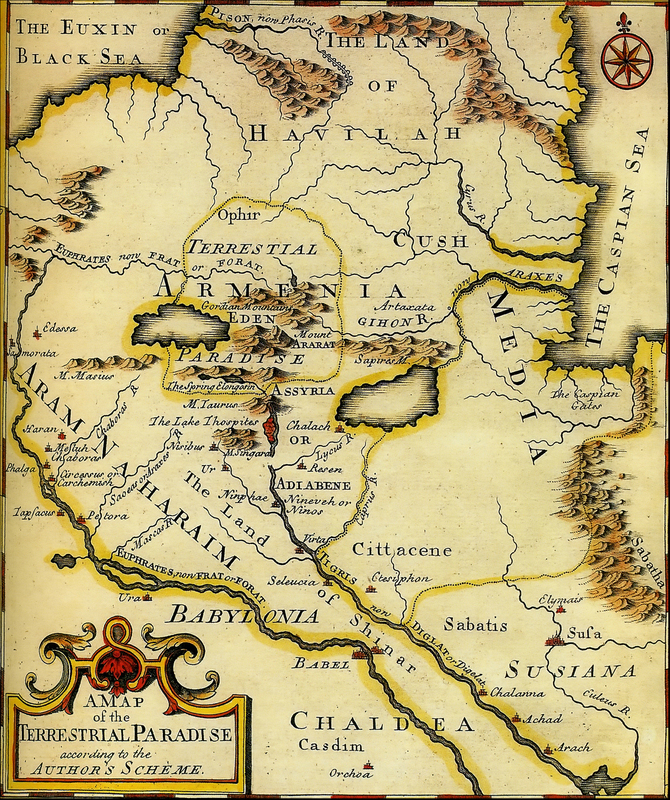 I take the liberty to draw your attention to my general survey on the cartographies of the Garden of Eden, where I mention the Armenian location of paradise: ‘Return to the Sources: Paradise in Armenia’ in Mapping Paradise: A History of Heaven on Earth (London-Chicago: British Library-University of Chicago Press, 2006), pp. 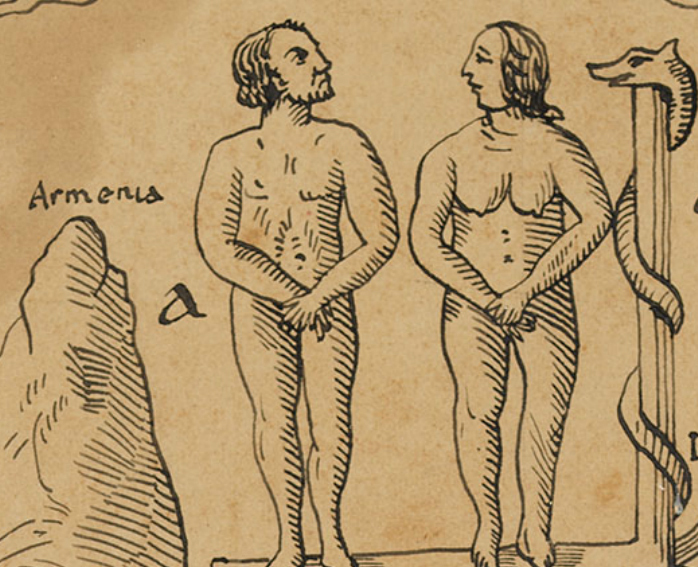 317-322. 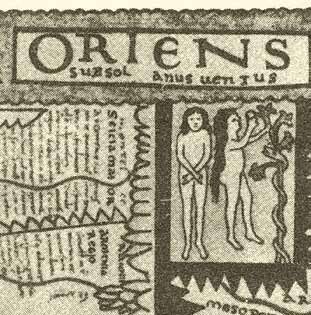 In the book you may also find indications for a more precise description of your maps. That’s great, thank you very much for the tip, I will certainly examine it. And thank you for your wonderful work!